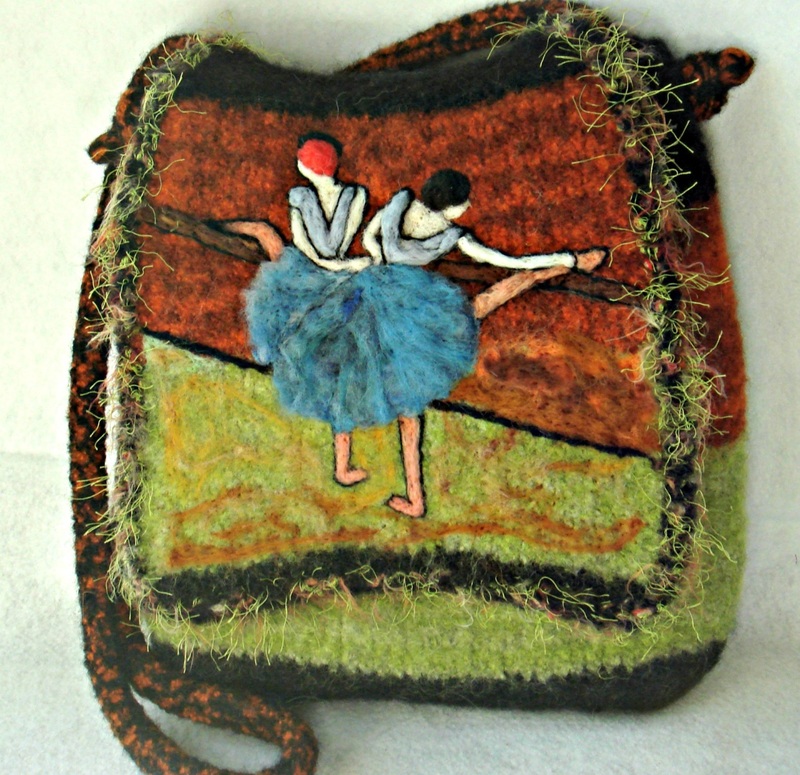 Do you love to dance? If not dance, dancers? 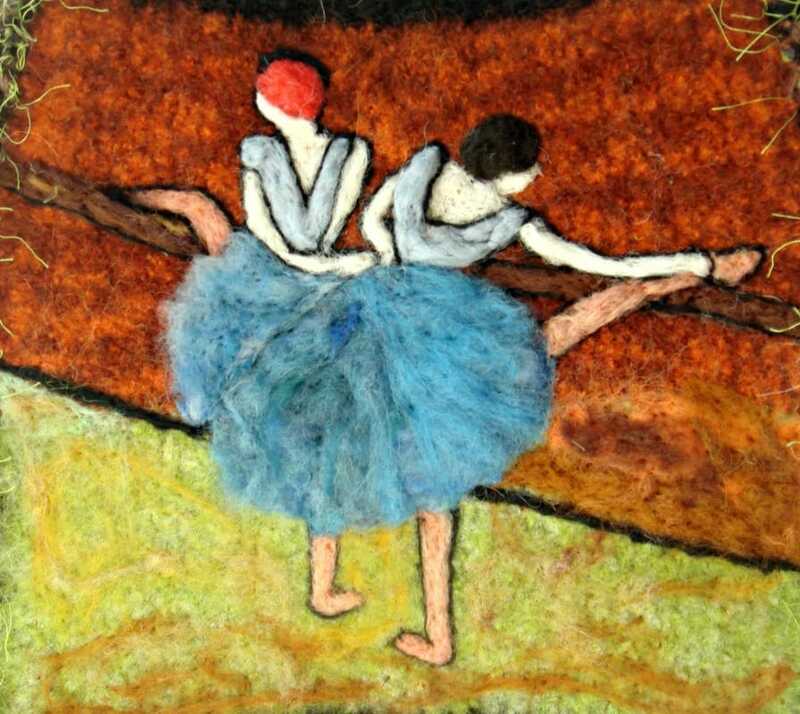 This famous painting Dega painting of the "Dancers at the Barre" is one of my favorites. 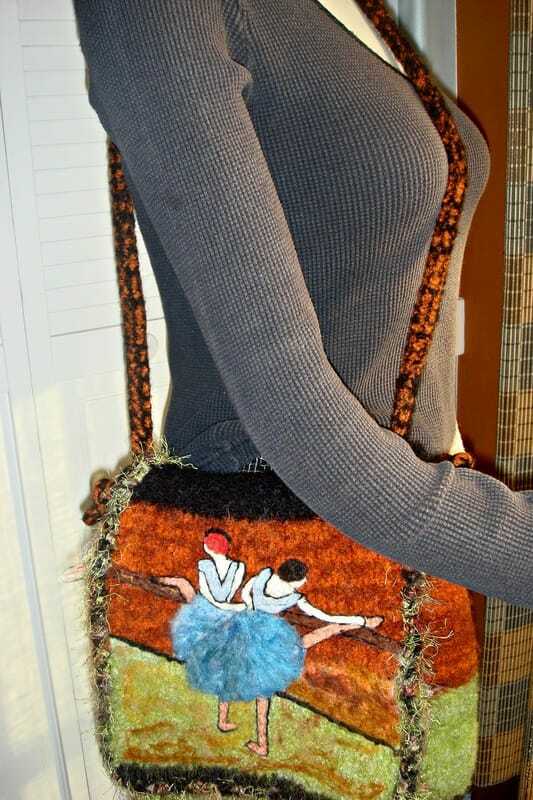 The vibrant colors of the dancers highlight the large flap of this messenger style handbag. 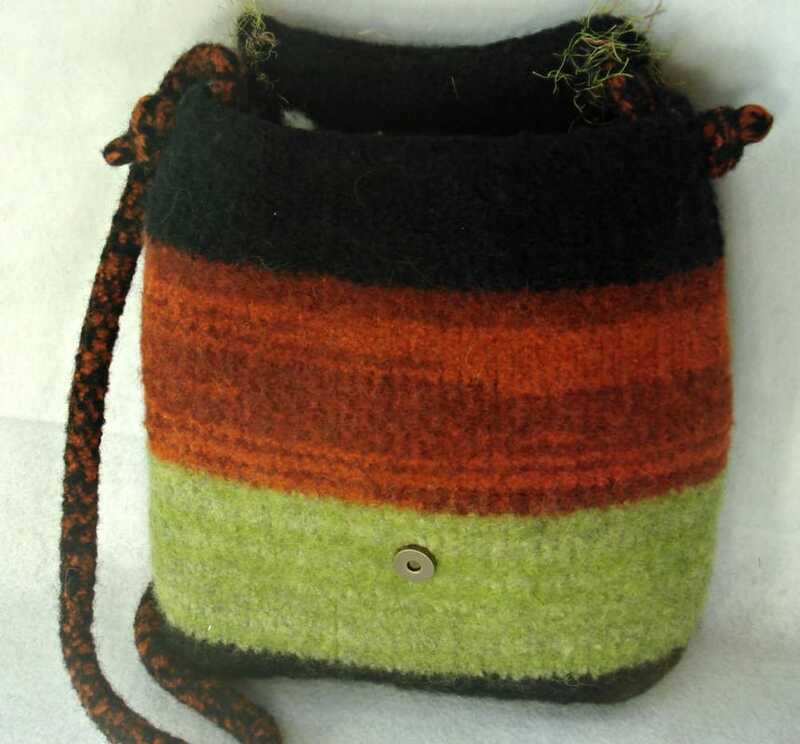 The bag has an inside pocket and closes with magnetic snap. The measurements are: 11" X 11" X 2". The ADJUSTABLE strap has a 23" drop but can easily be shortened.